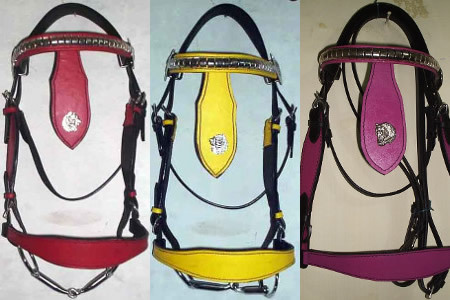 Our bridles are hand-made for donkeys and are available in pink, yellow and red. If you want your own choice of colours please get in touch and we can make to your requirements. Synthetic lightweight cub saddle. 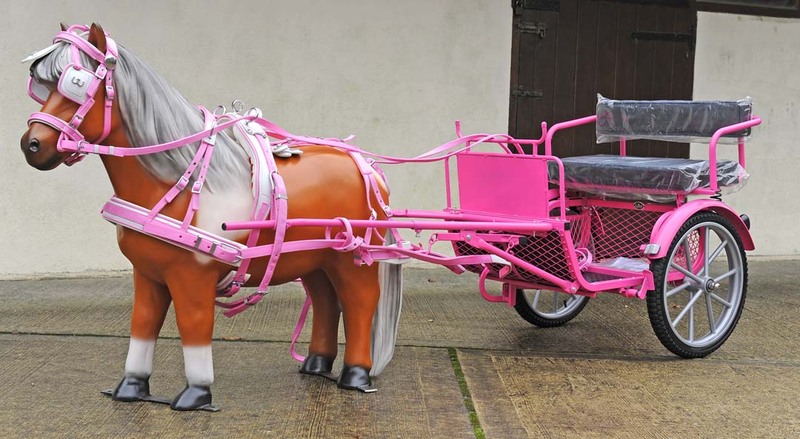 Designed to help put the young rider in correct position, feel confident in the saddle. 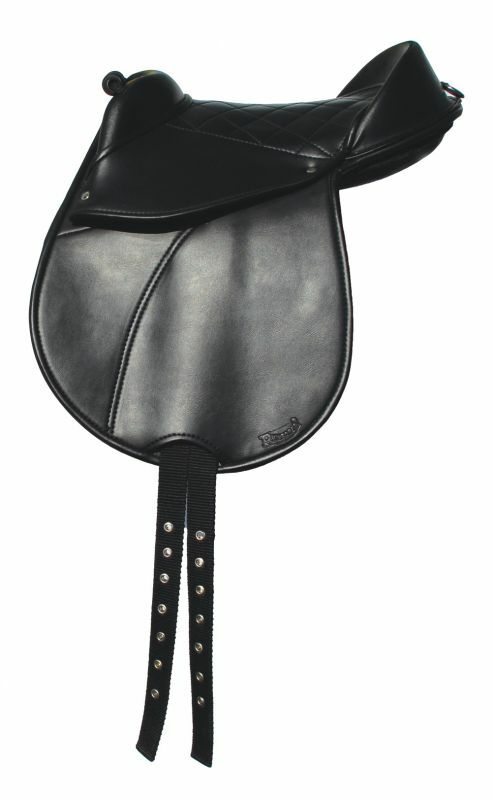 This donkey saddle has a rear back strap for belly girth and can take stirrups and crupper fixing point. Leather coated still handle comes with a waterproof cover. Pink nylon princess harness Available to fit 33”/38” 11” 12/13” £150 includes posting and packing. 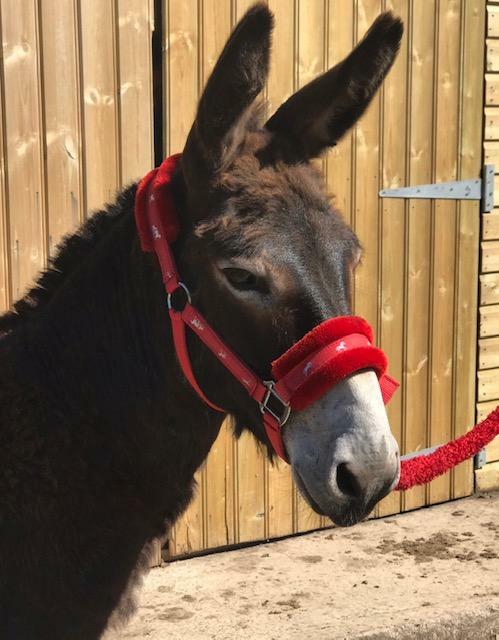 Our bells are hand-made for donkeys and are available in yellow, red, pink and blue. If you want your own choice of colours please get in touch and we can make to your requirements. 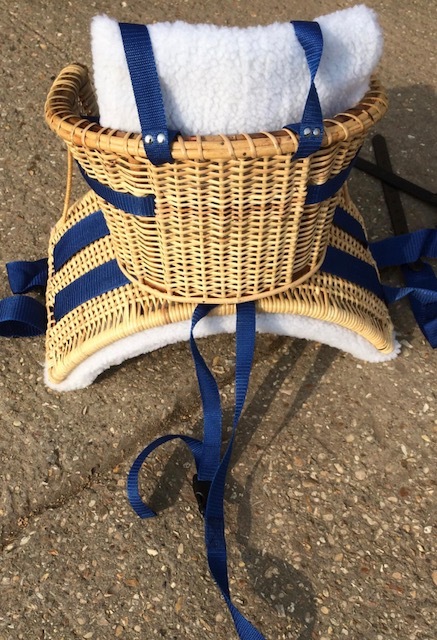 Felt covered donkey pad with a suede top, fixed girth, leather handle and stirrup bar. One size fits all. 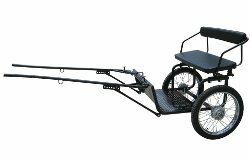 This is a lightweight donkey trap with an adjustable seat to give balance. It is supplied ready for self-assembly. Wheel diameter 52cm; width at the back seat 95cm; total length of trap 220cm. Lightweight turnout rug with ripstop outer. Fully cotton lined with no polyfill. Breathable, double chest straps cross over surcingles, leg straps and tail guard. Comes in baby blue spots or baby pink spots. Let everyone know that your animals are micro-chipped and therefore traceable back to you. A4 sized sign for wall or gate. Keep the flies away. The fly fringes fasten onto your head collars so can't be lost out in the field. 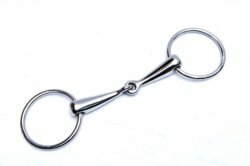 Can be used on donkeys or horses. Alice and Coco are lovely donkeys. They came to me well cared for and with super temperaments. Zoie is very knowledgeable on all aspects of donkey care. Highly recommended! Thank you zoie, for all your patience answering my neverending questions.Gizmo arrived safe and sound and has settled in extremely well. Just received tom a beautiful donkey from zoie as a companion fo alfie my other donkey. Thank you zoie for a first class service nothing was to much bother. 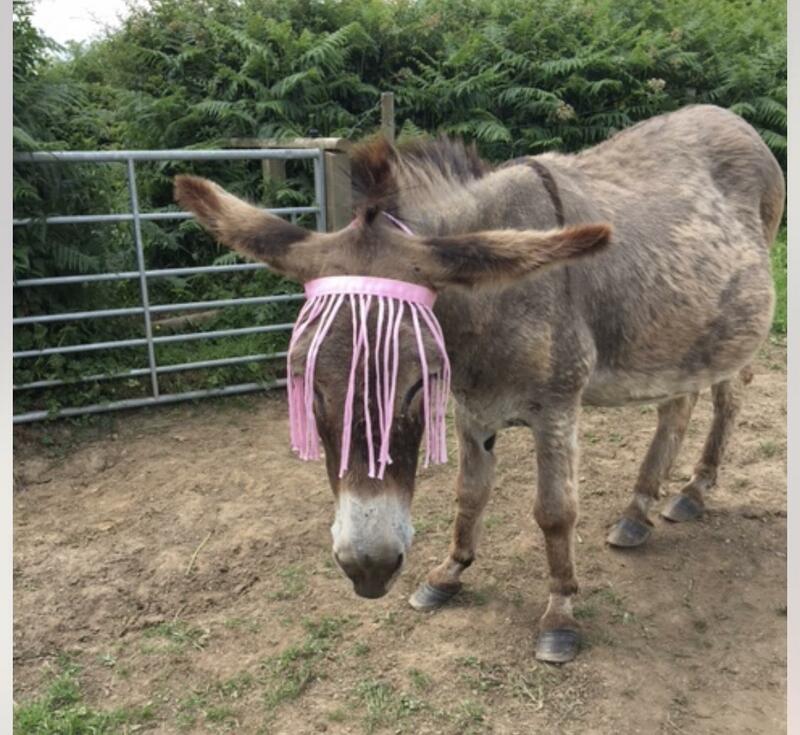 Hi Zoie, Just wanted to let you know donkeys are fab! They are real characters, thanks again for all the updates while we waited for our beautiful babies to arrive with us. My husband and I recently moved from a city flat to a small holding near Pontypridd. We like animals and wanted to have some to keep the grass down and become part of the family. My husband contacted zoie burton from donkeys of wales. Zoie was quick to respond with some valuable advice and following on from this we purchased two donkeys from her. They have become good friends and part of the family too. 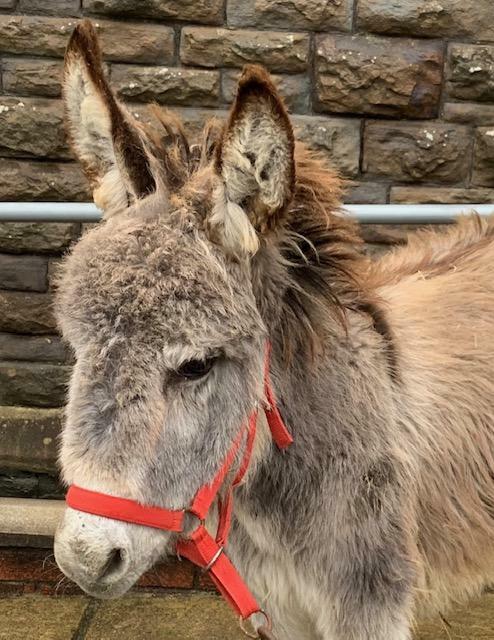 I had a few quires along the way regarding looking after the donkeys and their behaviour, where information was not easily accessible on the internet and Zoie was very helpful in offering advice to us. 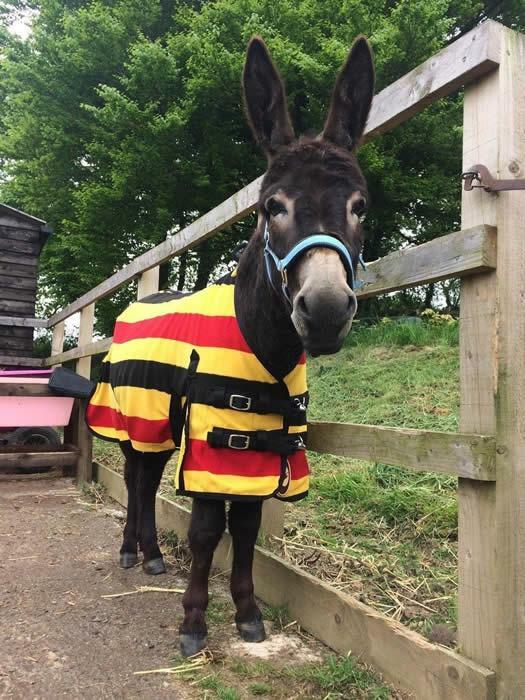 If you are thinking about having a donkey, I would recommend DONKEYS OF WALES. Thank you for the safe delivery of molly! She has only been with us a couple of days, but she's already won a place in our hearts. 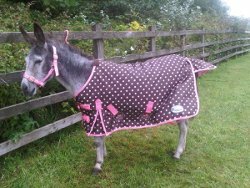 Molly is a dear soul with a wonderful temperament who has settled immediately due to Zoies expert handing and experience. Zoie is fair and very helpful with so m utch great advice to share. They are winning over my very reluctant husband with there charm and cheeky personalities. Everyone who visits the farm adores them and they are perfect therapy for our care farm. zoie has worked with us to find the perfect combination that works for us. zoie helped by giving one of the donkeys a holiday at there place , where they put in extra handling and work to make her easier for us who are inexperienced. Thanks for everything and cant wait for our miniature to arrive. A BIG thank you to donkeys of wales for coming to our Christmas fun day (2015) at the national waterfront museum, Swansea. Zoie and the team were a delight to work with on the build up to the event. On the day there beautiful dinky donkeys stole the show! 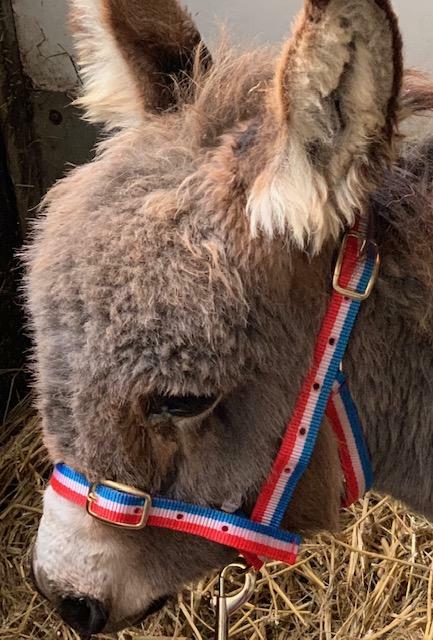 It was a very busy event (over 2,000 visitors) and we were very impressed at how calm and well behaved the donkeys were. Hi Zoie, its haf from betws Y coed. Just to let you know that Bertie and Arthur are settling in brilliantly. Both of them are gorgeous and very friendly, as described . We have all fallen for them big time!!! Their new shelter is ready for them, they went in straight away. thanks again! Thank you both for a excellent all round service. 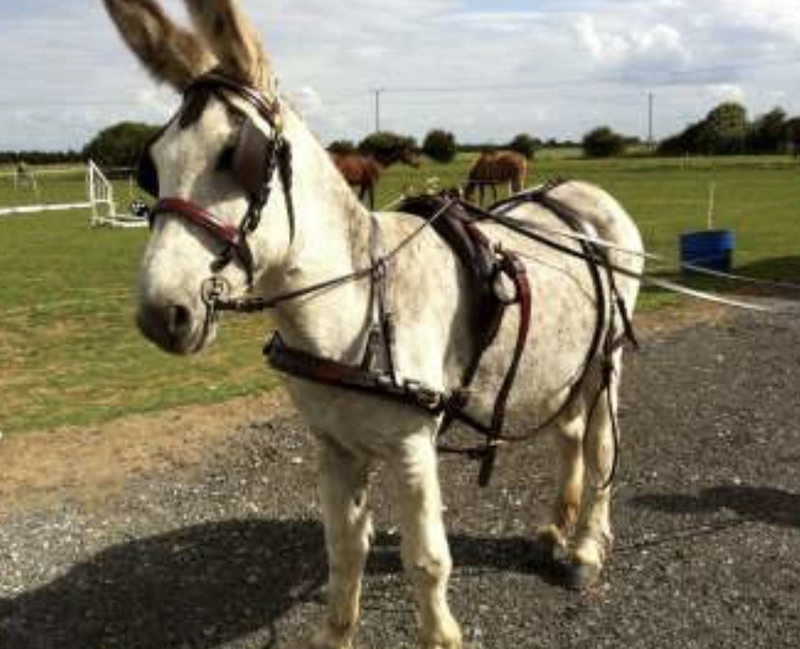 Donkeys are fabulous, lovely temperament and was kept updated on route with delivery time. Highly recommend. 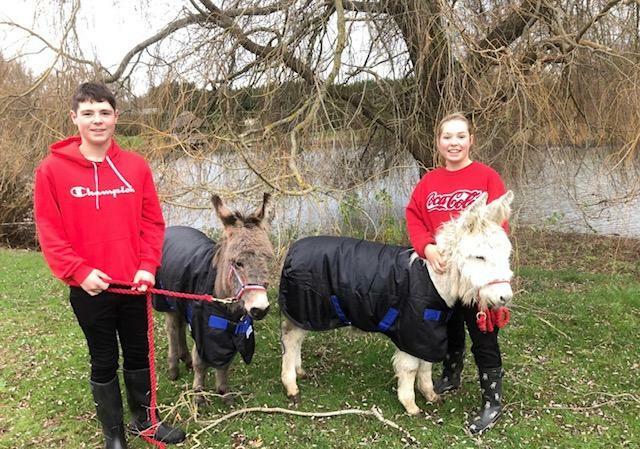 I have just purchased my first donkey, a pure bred miniature male called Stanley the Second! He is a credit to Zoie and has a wonderful temperament and my girls absolutely adore him. Zoie did everything she said she would and was 100% in all the advice and help she has and is giving me. I wouldn't hesitate to recommend these charming little donkeys to anyone for a pet, companion or for breeding. And the only place I will buy my next one will be Donkeys of Wales ! Don't bother wasting your time with any other breeders, just go straight to the best! - Jake Vangrove, Northern Ireland. What cool dudes, both travelled so well, calmly walked out the trailer made themselves at home.They were worth the wait and i know they will be characters here on the farm. Thank you for all your advice and help.